Reading travel content is a commitment from the reader; it takes time to read a good article. Looking at an image, however, is a completely different type of interaction. It is quick and involuntary, in which the briefest of glances can capture the attention and transport the viewer across the world. Images leap out of the screen and nowhere is this truer than on travel related websites. The gleaming and iconic Eiffel Tower bathing Paris in its golden hue, the steppes of Mongolia’s Gobi Desert stretching interminably into a blue horizon, or the passion etched across the face of a devout Christian as they step inside Jerusalem’s Church of the Holy Sepulchre: they all tell a story. The power of images is well known, with the rise of social media sites such as Instagram and its 300 million users vouching for this. Indeed, studies have shown that people will only retain 20 percent of what they read yet 80 percent will remember something they have seen. So why bother with content at all, I hear you ask? Well, the use of images and content together is a delicate yet powerful art form. Yes, images are integral in web design, and in travel their appeal is obvious. But without the accompanying words, they can confuse readers. Why is this image relevant? What is it telling me? Where is this place? Think of it like watching the television with the mute button on. Evocative images are bait to lure your readers, while it’s the written content that really hooks them, giving them all the salient information about the destination or brand and answering their questions. Imagery can then also play an important part in illustrating aspects of the written content in the article, which in turn gives the images context. Images used to illustrate travel articles, guides and blogs can deliver an undeniable punch and drive home the message. Yet the key is to ensure the images enhance the story you’re telling, and don’t just fill a space. Many guides to well-known destinations use similar imagery – for example, a guide to Rome will often be illustrated with a picture of the Colosseum. But sometimes, going against the grain and using a less iconic image is a better way to draw people’s attention. 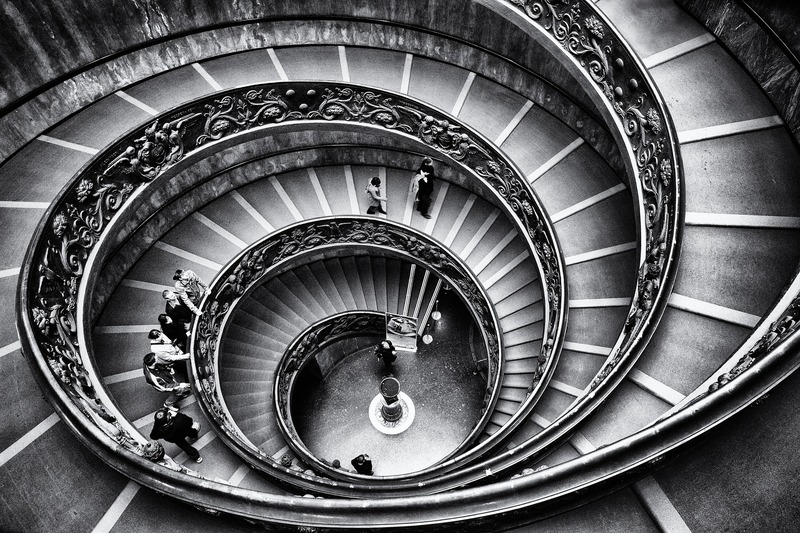 Take the image at the top of this blog post: that’s a staircase in the Vatican Museums. And the picture directly above? 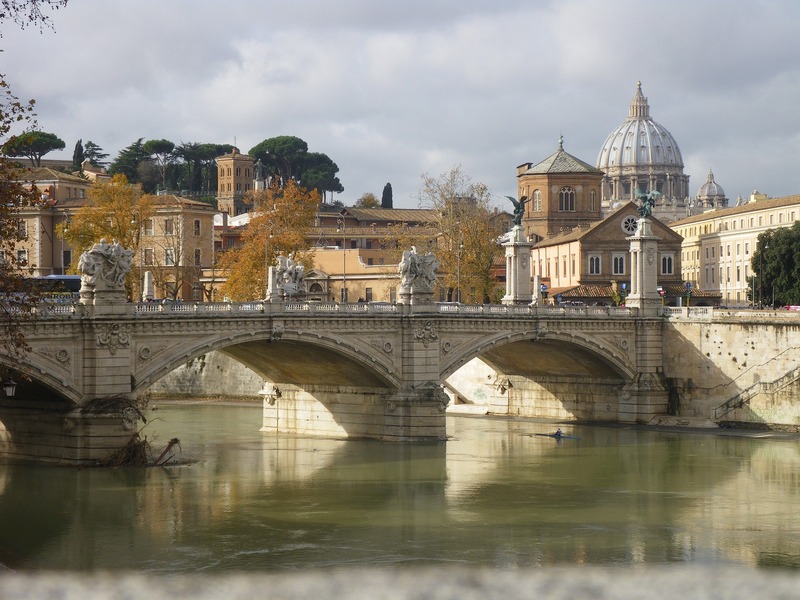 That’s the spectacular Ponte Vittorio Emanuele II in Rome. These images are intriguing and surprising, capturing the readers’ attention and drawing them to the words for further explanation. Top 10 or Best Of lists, slideshows and round-ups are wonderful bite-sized nuggets for travel hungry readers, and images play an integral role. Say you are writing a piece about the Top 10 Places to See Animals in the Wild. An image showing the gleaming eyes of a Sumatran tiger wading through Bangladesh’s mangrove swamps is thrilling and intriguing. The written content then delivers on the promise of that image, offering information and inspiration in equal measure and getting readers’ feet itching. Together, the images and the words bring the story to life. 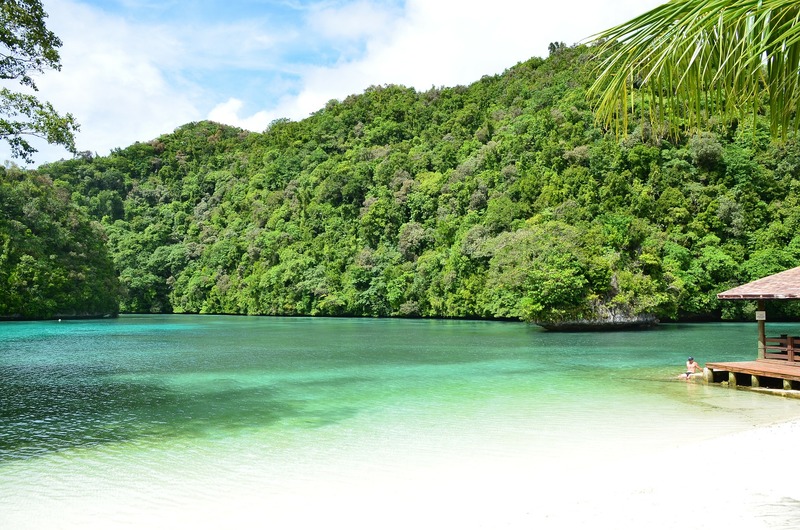 The picture-perfect Pacific island nation of Palau is home to some of the healthiest coral reefs in the world, along with a veritable fleet-full of World War II wrecks, making it one of the planet’s premier scuba diving destinations. Captions are often taken for granted, but to summarise a destination in a sentence is no easy feat. Clever content writers can answer every question someone might have about an image in a single sentence, getting to the core of the destination’s appeal, and even telling a story about the image in just a few words. Even when it might seem obvious what an image is depicting, there’s always some ‘invisible’ information behind the visible image, so you can add to the audience’s experience by captioning it. 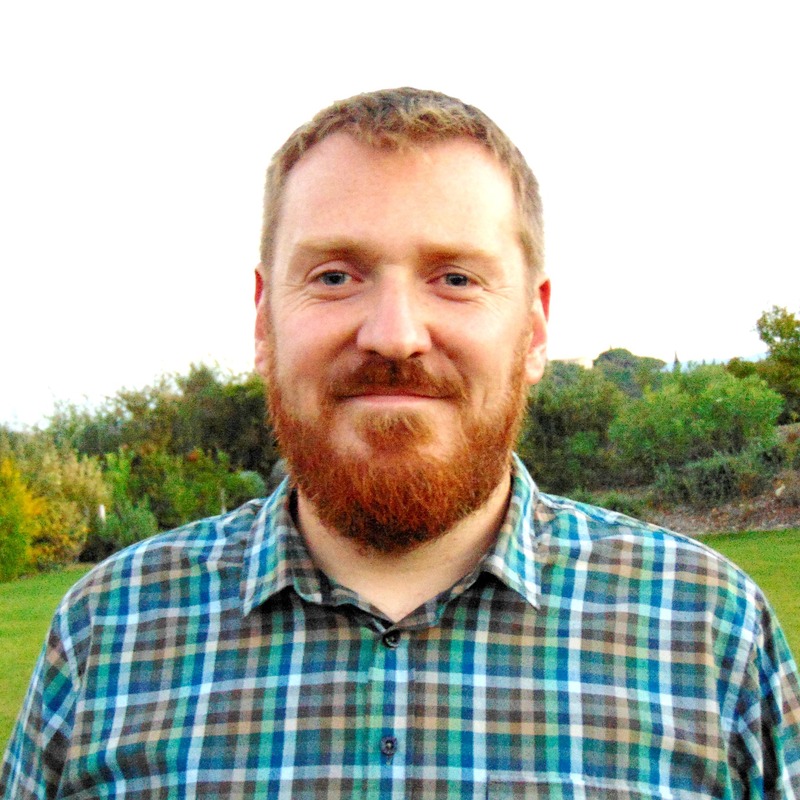 There’s also the small matter of it helping with your SEO. As an example, look at the image above. Without the caption, would you know Palau was a scuba diving hotspot? Would you even know this image depicts Palau? A beautiful image, plus well-written words, is a powerful combo. 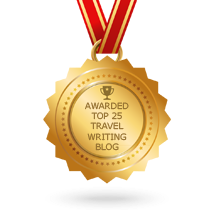 We use images throughout all of our travel content writing advice blogs, so why not take a look at some of our earlier examples here. You can also see how we use great imagery in our various project work and on Twitter. — Words by World Words staff writer Samantha Wilson. Images by Pixabay. This entry was posted in Travel Writing Advice and tagged World Words, Travel, Tourism, Travel Articles, Travel Content Writing, Travel Article Writing, Travel Content Advice, Travel Writing Agency, Travel Content Writing Agency, Travel Blog Content, Content Writing, Content Writing Agency, Travel Guides, Travel Blogs, Travel Images, Travel Pictures, Content Writing and Images, Travel Feature Articles, Palau, The Vatican, Pacific, Wanderlust, Words and Images, Rome, Italy by Joe. Bookmark the permalink.